People warned me in advance that I would be bored of the cuisine in Buenos Aires as I was staying there for two weeks. Turns out they were morons. And it also turns out that I have a high tolerance for steaks. It was a goddamn wonder. Of course, like a good porteño, you must go to a parrilla or steakhouse and there are many to choose from, Don Julio being one of the best. Some of the best parrillas are very touristy but this should not bother you. 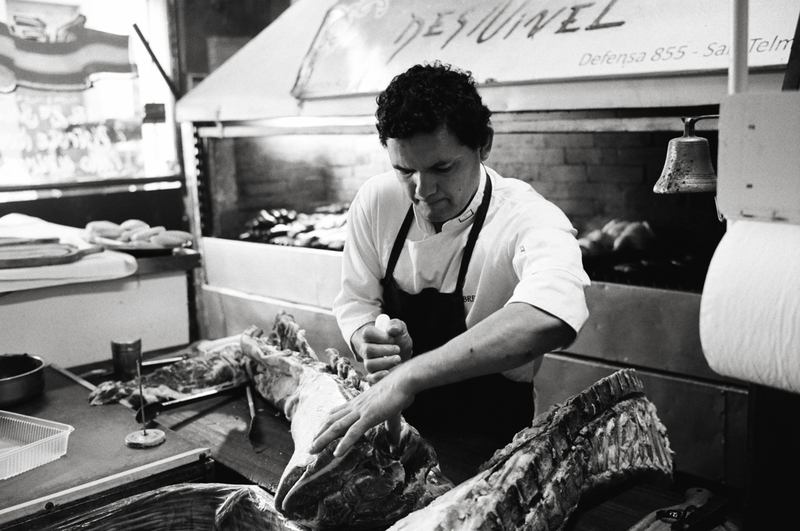 Desnivel in San Telmo is one such place and I returned there several times during my stay. 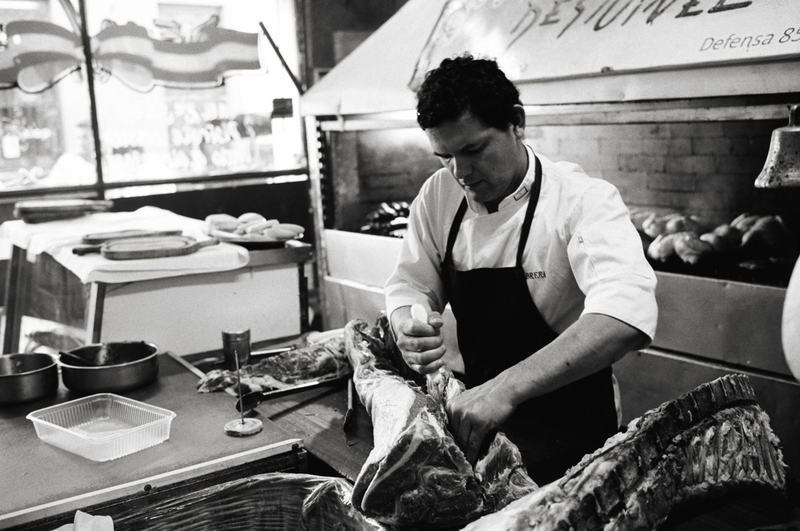 Here is the chef preparing the cuts for the evening rush.